Trying to maintain your body to allow for a long 'golf life' is a quest and challenge faced by most 'older' golfers. (I'll let you define the word 'older'). As we age we get stiffer in the joints, become less flexible and have more pain than in our youth. My mother always told me that I would 'pay' for all of my years in sports. I hate to say she was right but I have found there are ways to deflect the sting from that adage. Regular exercise (off the golf course) including stretching, cardio and weight training are keys to keep up your stamina, improve waning flexibility and building strength, tone and balance. However, there are times that more is needed to keep the body tuned up. There are two primary options that I personally recommend. One is getting regular medical massages (which I will discuss in another article). The other is chiropractic treatment. A lot of us have ill perceived views towards the chiropractic profession. Folks…that is OLD SCHOOL!! Chiropractors are definitely mainstream today often working hand-in-hand with physicians to maximize the treatment options for patients everywhere. Chiropractic care is more prevalent today than ever before. 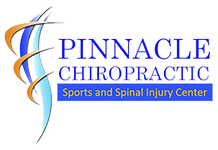 In fact, chiropractic care is standard for many professional golfers and should be for more amateurs. Choosing the right Chiropractor is key. Just as with other physicians, you need to seek out the professional that you can relate to on a personality/temperament basis and that is up-to-date with current modalities. Ask your primary care physician as well as friends and family for recommendations. Once decided who to go to make sure you discuss not only what is going wrong with your body but what the options are for treatment. Treatment options can range from manual manipulation, the use of massage therapy and body energy to focus on trigger points, as well as the implementation of rehabilitation exercises. Think about what the golf swing does to your body, especially your back. There is tension in the spine along with all of the twisting and bending incurred. No wonder so many golfers have back problems. Unfortunately the problems are not limited to the back. Hip pain, shoulder, neck and knee problems all seem to surface after years of abuse. These problems aren't specific to golf…just aging in general. So if you are feeling 'out of joint' don't overlook the value of having a good chiropractor on your medical team. Who knows maybe you will gain extra yardage off the tee…just so your drive will go deeper into the woods.